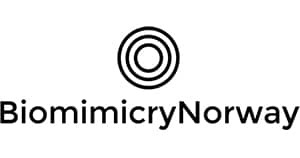 BiomimicryNorway is an organization focused on sustainable innovation. We provide workshops, courses and consulting services using circular economy and biomimicry principles. BiomimicryNorway helps their customers to innovate and find sustainable solutions. Our customers turn to us because we use circular economy, biomimicry and design thinking as some of our tools to develop innovative solutions. Nature is sustainable and does not generate waste (waste from a species is a valuable resource for other species). Taking inspiration from nature, the circular economy and biomimicry offer fantastic opportunities to innovate in any field, reshaping business models, products and services to make them more sustainable. We can help companies solving their challenges at the business model, design and engineering levels. Water management, smart city, urban farming and mobility are some of the sectors we are focusing on. We provide consulting services, workshops, team building and talks to help develop new and better solutions. We are working both with academia, the public and the private sector. We are highly connected at the european level through the Circulab network and the European Biomimicry Alliance and bring in the competencies required depending on the project.